The Feast of the Exultation of the Cross is the Feast of the Irish Province of the Dominican Order. This is traditionally the day that postulant coming to join the Order receive the habit. This year, the noviciate, is a time of deeper discernment in which the novice comes to appreciate the calling that God is offering to follow the way St. Dominic on the way of holiness. This year the Irish Province is blessed with five new novices. The new novices were clothed in the Habit of the Dominican Order “for a trail period” in which they are living the life as a Dominican more fully and both the Order and the Novices can further discern from God their path. After a the year’s noviciate profession is made, on the 15th of September, the Feast of the Our Lady of Sorrows. We are brought here by the mercy of God and we have come to undertake your way of life. By this following of Christ, may we grow in love of God and neighbour as men who desire to obtain their own salvation and the salvation of others. May we be men of the Gospel, following in the footsteps of our Saviour. 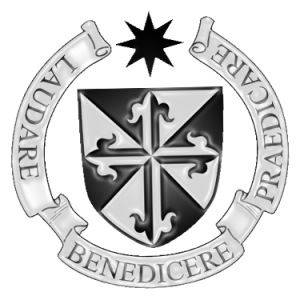 Please join the Dominican Order, and the Irish Province, in praying for out new Novices, for a fruitful noviciate in the year to come. You are truly a hidden God. 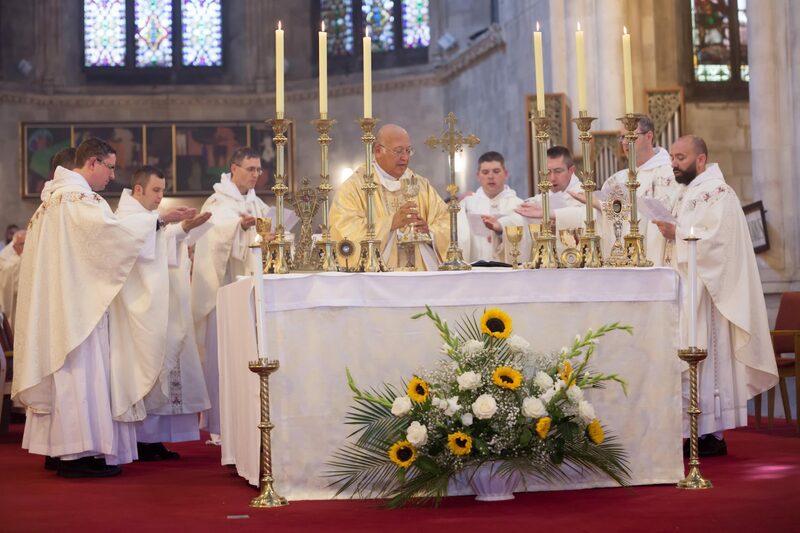 This video shows a brief account of the Mass during which the new novices of the Irish Province of the Dominican Order receive their habit. The reception of the habit, on the feast day of the Exaltation of the Cross which is the Feast of the Province, marks the start of their noviciate. In the noviciate the new novices continue to discern their vocation to the Dominicans in the coming year. In the second part the outgoing novices make their Simple Profession. They promise obedience to the Master of the Order for three years and Fr. Gregory Carroll OP, prior provincial, takes the vows representing the Master of the Order. The newly professed brothers will now start their formal studies in our studium in St. Saviour’s, Dublin.